We recommend a minimum of six months of a consistence yoga practice or equivalent training. This training will be taught in English with English manuals. WHAT WILL I LEARN IN THE 200-HOUR YOGAWORKS TEACHER TRAINING? 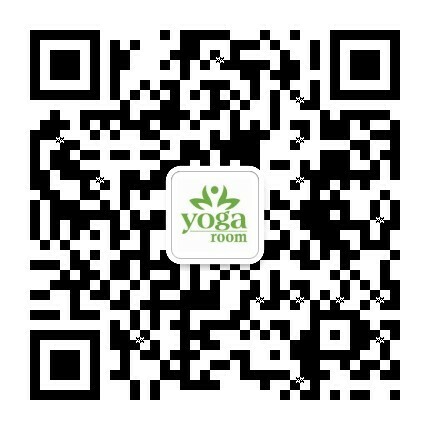 YogaWorks is a Vinyasa-based school that teaches a method that balances precise instruction, detailed alignment, breath and fluid movement. Classes are carefully themed to deepen the students’ experience of Yoga. A flow of Sun Salutations and postures are skillfully sequenced, and modifications and props are used to individualize the practice for each student. The YogaWorks Teacher Training Program is based on this clear and effective style of practice. YogaWorks style classes can be paced moderately to vigorously depending on the level of the class. At YogaWorks, we have been leading teacher trainings for over 25 years and have trained some of the world’s most celebrated Yogis. Our program is considered the most respected program in Teacher Training with over 10,000 graduates in over 20 countries. Since 1990, YogaWorks has been a leader in yoga education and our celebrated alumni have gone on to become some of the world’s most renowned yoga teachers. The YogaWorks Teacher Training program blends yoga traditions from the east and west, integrating both into a practical and unique method that combines vinyasa flow with an emphasis on alignment and skillful sequencing. Our mission is to provide each student with the necesary foundation to skillfully teach with compassion, safety and integrity, while honoring his or her individual voice and style. Whether you join us to become a teacher or simply to deepen your own practice, the YogaWorks training will uniquely prepare you to leave your mark on the world. David Kim (500 E-RYT) is a Senior YogaWorks and Yin Yoga Teacher Trainer, who leads trainings, workshops, and yoga events all over the world. A Brown University graduate, David began his career as a New York journalist, and later worked as a Script Analyst for Universal Pictures in Hollywood before embracing full-time yoga teaching. Mentors Paul & Suzee Grilley inspired David’s YogaWise Yin Yoga trainings, and early trainings with Annie Carpenter, Lisa Walford, Sarah Power, Ana Forrest, Jill Miller, and Shiva Rea were key influencers in his Vinyasa teachings. David honors his foundational Krishnamacharya-lineage studies, with the Iyengar family in India (2007) and Ashtanga founder Sri K. Pattabhi Jois during Jois’s American tour (2005) and continues to explore yoga’s evolutionary frontiers with anatomy trailblazers Gil Hedley, Robert Schleip, and Tom Myers. David’s thoughtful, challenging classes employ creative sequencing, precise instruction, and a philosophical attitude informed by his Mindfulness meditation practice. One of five original teachers for the video-streaming website MyYogaWorks.com, David offers numerous online yoga videos, some of which may be found on YogaVibes.com and the YogaWorks YouTube channel. David dedicates his teachings to the students and loved ones who inspire and teach him every day. Learn more at www.davidkimyoga.com.